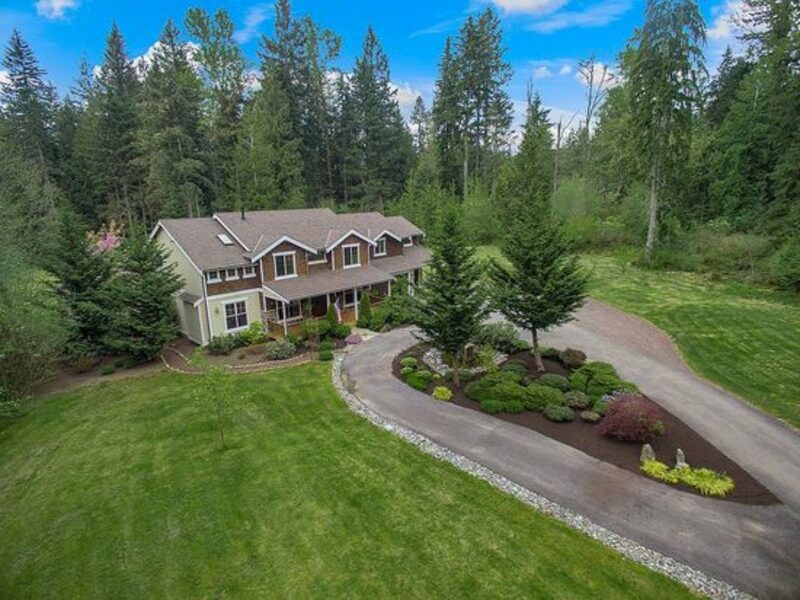 Serene and Private ~ Gorgeous 2006 Craftsman on 5 Acres. Gated entry leads to circle drive & water feature. Masterfully built w/ALL the extras: 2-story entry, refinished hardwood floors, 3 fireplaces, all brand new carpet, new interior paint, stunning chef’s kitchen, 926 asf 3-car gar., wired for generator, built in speakers, 4 beds, office, bonus & extra finished rm. Magical yard w/2nd water feature, custom west-facing Trex deck for your memory-making gatherings. No CCRs, Northshore Schools.